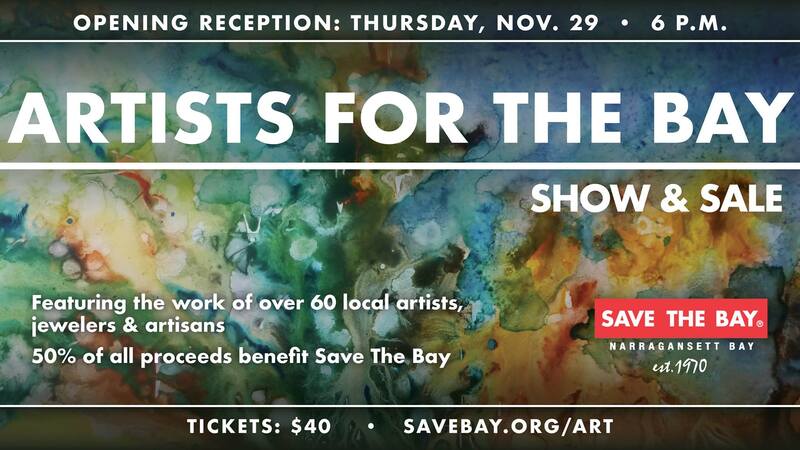 Join us for the Opening Reception of our Artists for The Bay Show & Sale! Shop for art, jewelry, textiles, glassware, handbags and sculpture from dozens of local artists, artisans and jewelers. The reception will feature delicious food, wine and cocktails from local vendors Fire Works Catering, Ragged Island Brewing Company, The Granny Squibb Company, KEEL, Tapped Apple Winery and GG’s Pretzels; and music by Bob Tomassone. All proceeds benefit Save The Bay’s advocacy, restoration and education efforts.